Cancer metastasis occurs when tumor cells acquire the ability to escape their local environment, enter the circulation to reach distant sites, attach at the distant site, and proliferate to form a metastatic lesion. Depending on the type of tumor, cells enter either the venous or lymphatic circulation (or both) and thus are spread to distant tissues (such as lung, liver, or bone marrow), or local lymph nodes, respectively, prior to the development of clinically detectable metastatic lesions. The fact that significant proportions of patients with organ-confined tumors who undergo theoretically curative surgery later suffer recurrence of their disease argues that current approaches to cancer staging are, to some degree, inadequate. Sensitive detection of tumor cells by immunohisto chemical or molecular methods could lead to improved staging and monitoring of cancer patients. 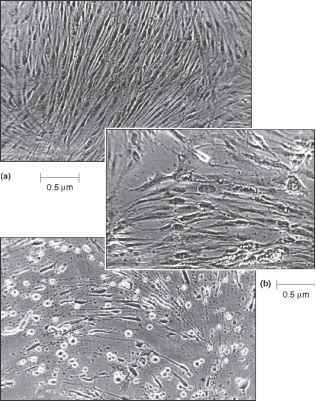 Such techniques also have been applied to the study of stem cell harvests, surgical resection margins, and various body fluids. Molecular techniques also have been proposed as tools for early detection of certain cancers using samples such as sputum, stool, and urine. Since most solid tumors lack suitable genomic alterations useful for detection, gene expression markers are frequently employed. Thus, the basis for molecular detection is expression of a messenger RNA (mRNA) or protein marker unique to the tumor cells that can be detected via reverse transcription-polymerase chain reaction (RT-PCR) or immunohis to chemistry (IHC), respectively. Unfortunately, truly specific tumor cell mRNA or protein markers are rare, and for carcinoma (derived from epithelial cells) markers are almost nonexistent. Most studies have therefore utilized markers reflecting the general type of cell or organ from which the tumor originates, and thus detect the presence of an expression-positive cell amidst the background of theoretically nonexpressing cells, such as leukocytes. Such markers cannot distinguish tumor from normal cells of the same cell type. Prostate-specific antigen (PSA), cytokeratins, carcinoembryonic antigen (CEA), and tyrosinase have been used as tumor markers, detected by either RT-PCR or IHC assays. Novel molecular and protein markers are being derived from new analytical approaches, such as expression microarray analysis.